Up to this point, we know that the main characteristic of Data Base Relationships is that they distribute the information between several Tables instead of just using one. The most evident advantage is that it saves us time by not forcing us to introduce the same data over and over again. However, there are other advantages, such as saving memory space, even if this is not such a problem nowadays. Nevertheless, a poorly designed Table, with useless fields, forgotten Indexes can make its size increase slowly at first. It can get to the point where we need to plan a new design. There is another advantage: the ease in which we can update our data. 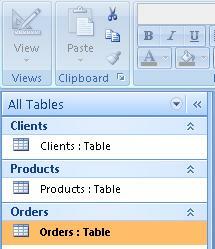 If we change a piece of data in the Supplier Table, it would automatically be updated in every linked Table instantly. We can achieve this by linking (relating) tables with one another by using the Primary Key. However, we also need to know that depending on how we make that relationship, the Data Base can respond differently when performing a task such as a search or printing a Report. In the following lessons, we will learn the different Types of Relationships there are. This is by far the most theoretical part of the course but I will try to make it as practical as possible.